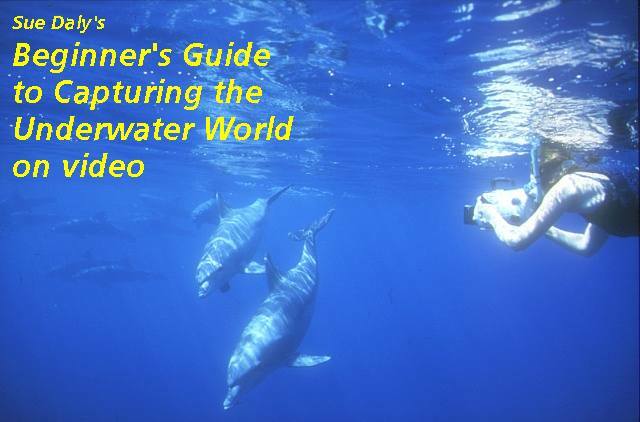 In the Image 2001 international competition awards reported in November Sue added to her collection of trophies a Highly Commended for her video Reef Encounters and the Gold Medal in the Professional class for her video Bouley Bay Watch. So, you've spent heaps of your well-earned money on a lovely underwater video set-up. You've taken your new love for a few dives and are getting used to where all the buttons and levers are and what they do. You may even have taken it on a few trips abroad. You've realised that shooting video is a lot easier than taking stills and you're hooked, but where can you take it from here? There's a big difference between taking a few shots of your mates on a popular shipwreck and putting together a whole film, even if it's only a short one. But set your sights high enough and who knows, you could be a contender at this year's festival. Your most important decision is probably what the film is going to be about. It's important to choose something to which you have ready access, so that you can easily spend masses of time filming it. If you're lucky enough to live close to some diveable water, the obvious choice is your "local" dive site. This might not be as dull as it seems. Think about what goes on there and build it into a story (all film-makers are story-tellers). Your film could have a time-based storyline: A Year under Swanage Pier, A Day in the Life of Stoney Cove or Spring at St Abbs. Another idea for a location-based story is to do a "portrait" of a shipwreck. Include a little of its history, the marine life that has made its home there and the divers that visit it. If not a location-based story, how about a study of one type of creature: Sea-slugs of the British Isles, Starfish, Urchins and Featherstars of Scotland or Seals of the Farne Islands? Yet another idea is to choose one type of habitat, such as an eel-grass bed, kelp forest or reef wall. If you're into people as much as marine life, you might choose a human to star in your production. This could take the form of the work of a marine biologist, dive guide or even yourself. Don't be shy about appearing in your own film. After all, it's your enthusiasm for your subject that has driven you to make it, and that will come across on camera, or even in your voice if you do only the narration.